Northwood University-Florida is college with 612 students located in West Palm Beach, FL. What are the top 3 things that students do for fun at Northwood University-Florida? The basketball games are always the best and full of energy. It brings everybody together. Learn more about financial aid at http://www.northwood.edu/fl/financialaid/. 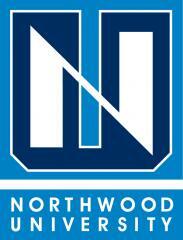 Northwood University-Florida participates in the NAIA Division I for college athletics. Want more info about Northwood University-Florida? Get free advice from education experts and Noodle community members. Are London Center of Marketing graduates able to enroll in your institution?